All Parents, Guardians & Staff are members of the PTA, and are welcome to any committee meetings. We held our Easter Bake Sale and Egg Decorating Competition on the last day of term which was a great success. There were some amazing eggs for Rev Bill to judge, with prizes being given out for the winners and runners-up in the following categories; pre-school, KS1, KS2 and adult. We want to thank Richard James in Wroughton who provided the donation for our chocolate prizes. We also want to thank everyone that took part and for the donation of all the cakes. Having counted all the pennies, we can confirm that we raised £134 from the egg competition and £218.80 from the bake sale. The PTA will be supporting both these events, with a share of the profit raised from the event being donated to the PTA. 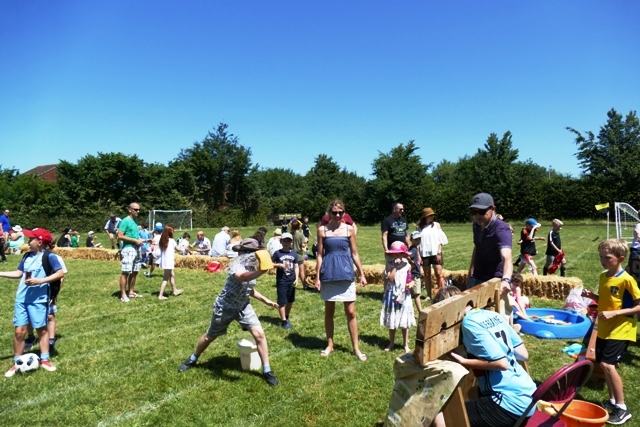 In return for a share of the profit, the school will host the Scarecrow Trail refreshments and ask for volunteers to man a stall for a short period at the Fayre, and the refreshments. With a hope for sunny weather, the May Day Fayre relies on the community giving up their time to help put up marquees, set up and run stalls and pack away at the end of the day. We hope that with the added incentive of a donation to the PTA, more volunteers will step forward to support the event. If you would like to help support these community events, alongside the PTA, then please contact either Tessa Lanstein directly at tessaannlanstein@gmail.com, or the PTA at the below details. There are still slots available, especially to run stalls for the latter part of the May Fayre 3-5pm. We continue to request help towards the fete to ensure it is a true success. Any donations towards the 'Barrow of Booze' are greatly welcomed. If you are also interested in providing raffle prizes or want to sponsor an event to promote your business, then all would be gratefully received. Please contact us at the details below. 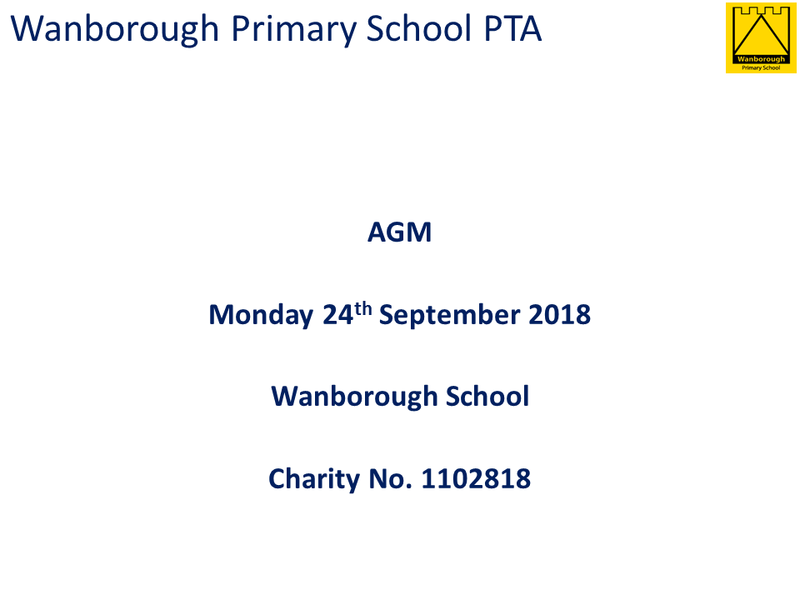 On Monday 24th September the PTA held its AGM. You can see the presentation about the PTA's activities last year by clicking the image below. We continue to plug the Easyfundraising service as it is such a quick and simple way to raise money. Please register at www.easyfundraising.org.uk/invite/UXYA85. Once registered, every time you shop online at any of the thousands of retailers available, the PTA receive a donation. You can also download an app so you can shop on the move. Please remember to follow us on our new Facebook page ‘Wanborough Primary PTA’. We regularly post new events or updates on fundraising activities and so if you can’t wait until the next school newsletter to see what we have been up to, please visit us here. We would like to thank everyone at the school for your continued support over the past year and we hope next year will bring many more exciting fundraising activities to help make a difference to all our children. 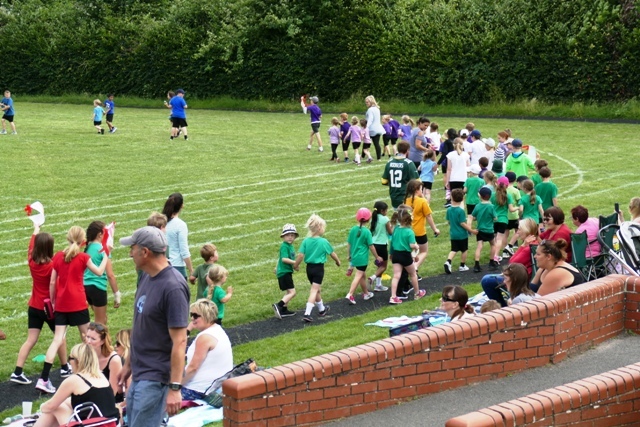 The PTA donated over £7k towards the mile a day track which has been a great success! The fete raised £3,826.61! Thank you to everyone who joined us on the day, and to all the volunteers who gave up their time to help.